I received an identical prize pack in exchange for posting this giveaway. All opinions are100% my own and were not influenced by the sponsor. TruMoo is delicious, nutritious and Trollicious! Now for a limited time, TruMoo Chocolate and Orange Scream milks feature Poppy and Branch from the new Trolls movie. Whether served in a glass or incorporated in creative recipes like Poppy's Orange Scream Pudding Parfaits, "Trollicious" Chocolate Cheesecake Dip and Truly Colorful Crepes, every little Troll and Bergen will be asking for more. 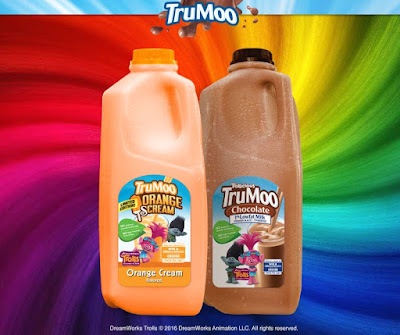 1 Very lucky reader is going to win a $25 Visa Gift Card to see Trolls in the theater, a TruMoo Branded Thermos (value of $30) and a coupon for a FREE Orange-Scream TruMoo Milk! I like when Branch is Singing to poopy and all their colors light up. I like when Branch goes to high five slappy and he pulls his hand away. I like it when all the Trolls are together is a big hug! Such a cute movie! My favorite scene is when she uses her hair as a shelter and covers them both, and then her hair retracts. So cute! I like it when he takes the guitar and throws it into the fire. I like when Poppy is sad and they all gather around her and all light up 1 by 1. I like the slapping high five scene. I also like the dancing scenes. I like the big group hug and the singing and dancing. I like the part where they are dancing near the end of the trailer. 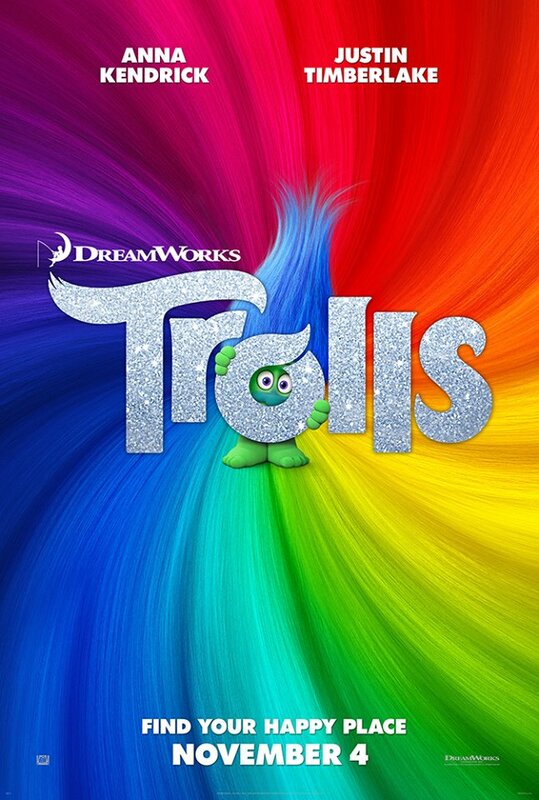 I love all Trolls around Poppy and colorful lights up around. My favorite part is when True Colors is being sung - talk about sweet! My favorite is when they sing True Colors. I like the True Colors song. I LOVE THE TRUE COLORS SONG. Oh I loved towards the end when the cloud started raining! So funny! I just love the scene with the song. I like when the cloud offers him a high five and then says too slow. lol. I like when he starts singing to cheer her up. I love when she scrapbooks their plan! I like the fireworks part in the shape of a troll and when the cloud says "a little slappy, make daddy happy" and then pulls his hand away. Looks like a cute movie. I love when they are hugging. I love when they sing. LOl, I thought it was funny when the troll got scared by the big monster and pooped cupcakes it looked like. I like the part when he starts singing True Colors to Poppy and all the lights start turning on. It's a very fast group of scenes but I love the puff cloud guy. I like when the troll "popped" out the cupcakes! I like the talking cloud. I love the True Colors song scene. I like the Scene when Poppy says She will Rescue Everyone. My favorite scene is when they all start to light up! I love when he sings to her and she starts to light up. I love the music and when all the trolls light up. I like the big group hug. I like when all the glitter comes flying out. I like all the singing. My favorite scenes include the popup scrapbook that says "We Did It" and the end of the trailer with the song "True Colors." My favorite scene is the high five slapping scene. My favorite scene is the True Colors song! My favorite scene is when they sing The True Colors song. Thanks for the chance to win such an amazing giveaway. I would love to win this for my daughters. The true color song was something my niece would find catchy.